And now the news from Alpha Centauri . . . (oh, I’ve waited for so long to utter those words! News. From Alpha Centauri) . . .
After an incredible decade, in which the number of planets known beyond our solar system increased from zero to several thousand, astronomers have detected an Earth-sized world orbiting between the two stars nearest to our system, Alpha Centauri A and Alpha Centauri B. Much too hot to sustain life, it nevertheless will help in narrowing down the search space for others. Moreover, now we have a target for the first interstellar probes, which are already under discussion. Indeed, the youngest of you readers may live to see the launch. Ah, but this raises the perennial question. If planets are more common than we ever thought, then what about life-worlds? And even alien intelligences? I have been involved in this topic all my life, having grown up in Southern California, the part of human civilization least rooted in the familiar, traditional or . . . perhaps . . . sane. 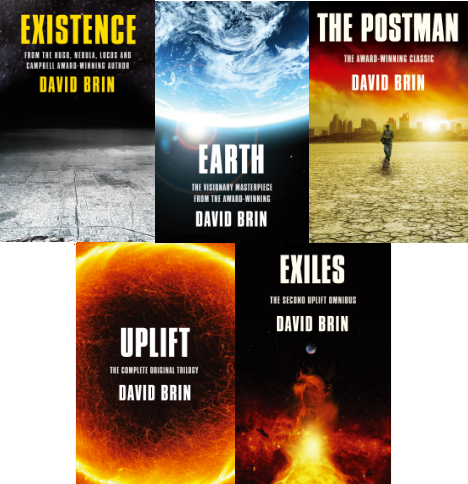 I am best-known today as an author of novels and stories about our many possible-plausible futures, including some that explore a wide range of possible extraterrestrial civilizations. My scientific career, ranging from optics to astrophysics, led to papers about SETI in the 1980s that include what is still the only full review article in the field, compiling all then public theories for what I called The Great Silence, but that is now more widely known as the Fermi Paradox. 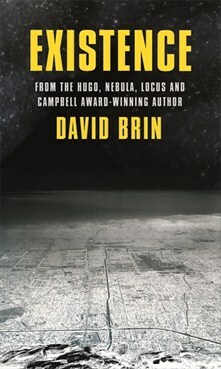 The Fermi Paradox refers to a question posed by the great physicist Enrico Fermi in the 1940s, demanding: “If it seems so likely the universe may host other life forms, how come we haven’t seen any signs?” Not just of radio beacons, but of mighty structures that our own descendants might someday build out there in space. Or leakage from chatty commerce between civilizations. Or indeed, any trace that the Earth was visited during the 2 billion years that it was “prime real estate” with an oxygen atmosphere, but nothing higher than slime molds to defend it. It is a fascinating topic . . . perhaps the fascinating topic. For it takes you from pondering the birth and death of stars and planets to the dynamics of atmospheres and the potential origins or life . . . to intelligence (what is it and how many varieties can it come in?) . . . all the way to the stark possibility that few technological species survive their tense adolescence, attempting to cross a minefield of potentially lethal errors, from nuclear war or designer plagues to ecological devastation or cultural stagnation . . .
. . . all of which I talk about in my most recent novel, EXISTENCE (UK | ANZ). In ways that I hope readers find both fascinating and thrilling, embedded in an exciting, near-future plot. There’s a new idea on almost every page. And why not? I’ve been cataloguing the possibilities for what feels like eons. The most common tool that folks use, in appraising the Great Silence is a little gem called the Drake Equation , by the early SETI pioneer Frank Drake when he was at the Arecibo National Radio Observatory. It remains the most widely accepted tool for xenological speculation. – the average lifespan of each species. What are the chances of life erupting spontaneously on isolated worlds? It appeared to do so swiftly on Earth, almost as soon as the planet cooled enough for oceans to form. Three scientific discoveries and one useful philosophical tool gave researchers the courage to make crude estimates about the distribution of life among the stars. The first discovery came when it was found almost ridiculously easy to make amino acids, and other precursors to living matter, from abundant molecules such as methane, ammonia and cyanogen. Stanley Miller subjected a water solution of these substances to electrical discharge and ultraviolet radiation and got an organic “soup” in short order. Leslie Orgel of the Salk Institute accomplished the same thing by a freezing process. The high pressures of ice formation not only gave up amino acids, but the purine adenine as well. (Adenine is one of the four building blocks of DNA, and is the core of ATP, adenosine tri-phosphate, which controls the energy economy of the living cell. So many mechanisms have been found that can change crude precursors into “biological” molecules that today organic activity seems almost an automatic consequence of the distribution of chemical elements in the universe. It’s clear, then, from basic chemistry and radio astronomy, that the basic materials for life are out there. What about the right environments? We have to assume, until we have reason to think otherwise, that complex life must grow and evolve to intelligence on planets orbiting stable stars. Are there other “nursery worlds” like the Earth? Or might ecosystems more likely be found under the ice coverings of “roofed worlds” like Europa and Enceledus, where life-giving heat rises from below and any denizens would never see the stars? Assuming planets are common and life is not rare, then how do we explain the Fermi Paradox? Well, some hold that the likelihood that a planet will create an intelligent species is so small that it keeps the numbers down. After all, it appears to have happened just once in 4.5 billion years on Earth . . . though some question whether it has happened yet, on this planet, at all! What about dolphins, apes, sea lions, crows, parrots . . . even prairie dogs and octopus, who now show signs of some linguistic ability and problem solving savvy? They all seem to crowd under a “glass ceiling” that none has ever broken through (except us). Could that represent some kind of law of nature, and might we be a fluke? 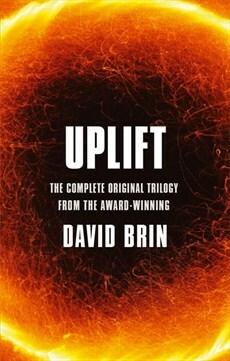 A separate question, that I explore in EXISTENCE and also in my UPLIFT Series of novels – (now being re-released in beautiful omnibus editions by Orbit Books (UK | ANZ)) – is whether we should start to help other species burst through that glass ceiling and join us, as fully sapient fellow citizens of a much broader and more diverse Earthly culture. The end result, that I portray in Startide Rising and The Uplift War, is a much richer and wiser civilization. All of the factors in the Drake Equation that we’ve discussed so far are ones that might explain the Fermi Paradox by keeping down the numbers of intelligent beings who reach our level. If any of those factors were responsible for the Great Silence, then that means the Big Filter lies behind us. We are rare . . . but the galaxy lies open before us and nothing stands in our way! Then come the grouches who insist that life and intelligence and good planets and all that must be abundant, but that the Filter lies ahead of us. Remember that minefield of possible mistakes that a “smart” race might make, from nuclear war to eco-devastation? (I explore a much longer list in EXISTENCE.) With that long litany of potential failure mode in mind, these folks ask how long any technological species can survive that endless expanse of snake pits, quicksand and possible ways to commit suicide. All of which falls into the Drake Equation factor “L” or how long such a species can survive. Suffice it to say that these two sides – those who think the Filter lies behind us and those who cry “look out!” – are in furious debate to this day. 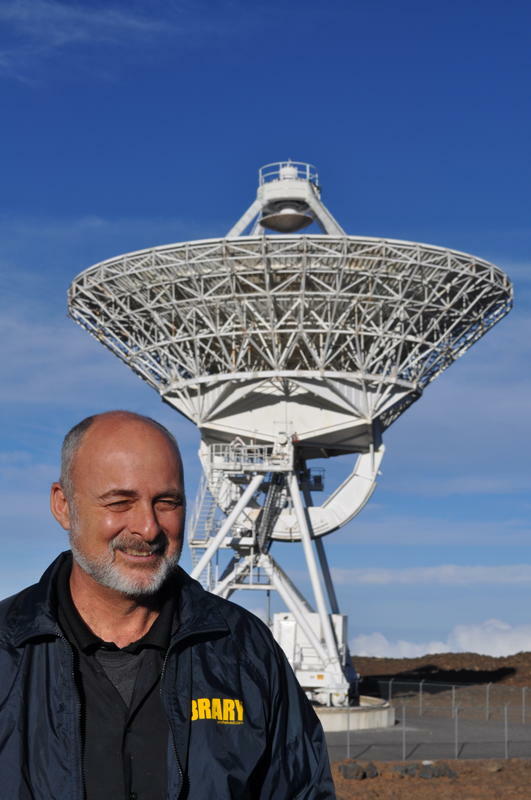 And it may surprise you that the “grouches” include many in the SETI community, those looking the hardest with radio telescopes, who openly admit that they are searching for the exceptions who do not kill themselves. Again, there is no topic like this one, so rife with mind-blowing possibilities . . . and so free of any data about actual alien life! And yet so prone to sudden, premature conclusions, in which smart people declare “I know the answer!” without a shred of supporting evidence. And yes, the most painless and entertaining way to tell you more is probably on the pages of EXISTENCE. But I’ll supply plenty of other links for those who relish our most precious human gift. The wonder of curiosity. The insatiable thirst to know about what we know . . . and to speculate about this vast realm. A topic we all find fascinating . . . and as-yet we know so little about.